Kosovo remains the last of the Western Balkan countries that has not implemented visa-free regime with the EU yet. The ten-year-old country started its journey towards the much-sought-after visa liberalization years ago, alongside Georgia, the citizens of which have been freely moving across the Schengen Zone for a year now. Frequent pledges by Kosovo politicians that visa liberalization would happen ‘very soon’, teargas at the Assembly and massive protests at the main Pristina squares were just some of the main features that characterized the process. Now, the country is closer than ever to achieve the abolition of visa regime with the Schengen Member States. The following timeline highlights the main events that have characterized this six-year long process. The European Commission started the process of visa liberalization for Kosovo. On the same day, EU Commissioner Malmström held bilateral meetings with Kosovo leaders in Pristina, including the PM, to launch the dialogue. Kosovo accepted the roadmap for visa liberalization, identifying all measures that Kosovo should adopt and implement to advance towards visa liberalization. The roadmap consisted of 95 benchmarks that had to be met in order for visa requirements for Kosovo citizens to be removed. Commission presented the first report on the progress achieved by Kosovo in fulfilling the requirements of the visa liberalization roadmap. Its main highlight was that though Kosovo had made progress, it still had a limited capacity to fight crime and corruption. EC presented its second report on the progress of Kosovo on the fulfillment of requirements on visa liberalization. According to the report, Kosovo made good progress but further efforts were required for visa-free regime for Kosovo passport holders, concluding that lifting the visa obligation for Kosovo citizens carried certain security and migratory risks for the EU. 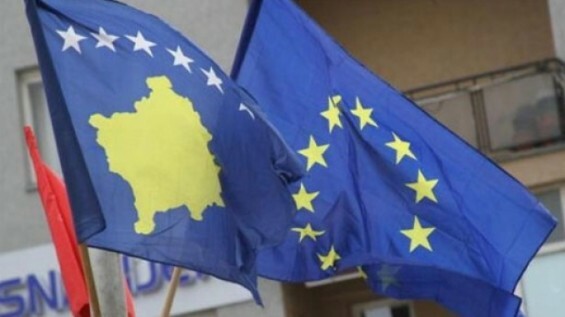 The European Commission adopted the third report on Kosovo’s progress in the fulfillment of visa liberalization requirements, evaluating that only eight outstanding requirements remained, and assuring that upon their fulfillment the Commission would propose to lift visa regime for Kosovo. The EC proposed to the Council of the European Union and the European Parliament to remove visa requirements for Kosovo citizens, upon the fulfillment of the last two benchmarks – ratification of demarcation agreement with Montenegro by Kosovo parliaments and fighting of corruption. The European Parliament Committee LIBE recommended visa liberalization for Kosovo, but voted against the initiation of negotiations before the country fulfills two remaining criteria, including the approval of border demarcation agreement with Montenegro. Kosovo finally ratifies the long delayed border agreement with Montenegro, after two years of tear-gas thrown by opposition at the Parliament and massive protests including violent ones, when 80 of the 120 MPs in parliament voted in favor of the deal. The Commission confirms in its Kosovo* 2018 Report that Kosovo has fulfilled the last requirement of the visa liberalization roadmap, which was fighting corruption. The report showed that Kosovo authorities established and strengthened a steady track record of investigations and final court rulings in cases concerning organized crime and corruption, thus successfully meeting the final benchmark. The European Commission gave a positive recommendation on visa liberalization for Kosovo citizens, re-confirming that Kosovo has met the two outstanding visa liberalization requirements. On the same day Commissioner Avramopoulos called on the European Parliament and the Council to swiftly adopt Commission’s proposal on lifting visa requirements for Kosovo citizens. The European Parliament Committee on Civil Liberties, Justice and Home Affairs (LIBE), gave the green light for visa liberalization for Kosovo citizens. At the same time, the Committee approved the opening of inter-institutional negotiations on the completion of the process. Thirty members of the committee voted in favor, ten against and two abstained. The European Parliament agreed, to open talks on the abolition of visa regime for Kosovo citizens. The approval came with 420 of the EP members voting pro the proposal and 186 against it.